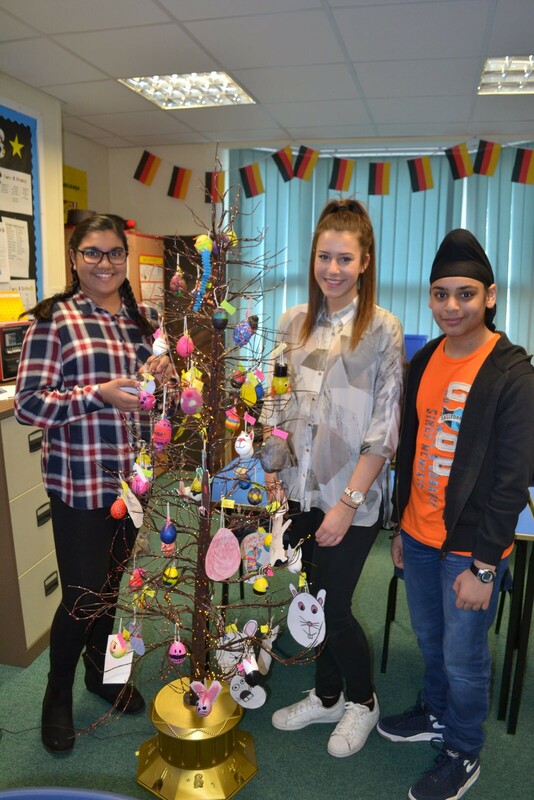 Pupils in our Senior School have been celebrating Easter German style, by decorating small polystyrene eggs and creating their own Osterbaum (Easter tree). Miss Nijjar judged all the entries and awarded prizes to Abby Bird (1st), Sonia Ghuman (2nd) and Jaina Bowry-Soni (3rd). Runners up prizes were also awarded to Eve Sheldon, Amarah Zeb and Khateeb Mohammed. Well done to all pupils for their beautiful designs; the tree looks amazing! (And thanks to Gurjeet Ghuman who picked up his sister Sonia’s prize as she’s not in school today).